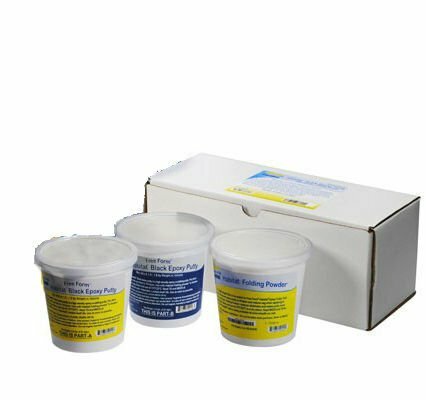 Free Form Habitat Black Epoxy Putty is a mix-by-hand putty that is used to create textured or highly detailed display pieces. Habitat Black is solvent-free and contains no VOC's. Once putty is applied, it can be stamped with a silicone rubber stamp to create repeating patterns with intricate detail over a large surface area. Surface can be smoothed with alcohol or water. New Habitat Black will bond to cured Habitat Black without delamination. Habitat Black will not melt foam, and can be used as an EPS foam coating. Habitat Black is suitable for interior and exterior use. 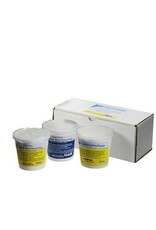 It is certified "aquarium safe" and used by aquariums to create hyperrealistic coral and other aquarium displays. Habitat® Black is also used for general sculpting and theming applications. Free Form Habitat Black is also an excellent repair cement and bonds permanently to itself, PVC, acrylic sheeting, wood, many metals, plastics and foams.